UFC 171 will no longer feature Will Campuzano fighting Darrell Montague, as the promotion has announced that the latter has withdrawn due to injury. As a result, rising flyweight Justin Scoggins will step in for Montague and will battle Campuzano at the March 15th event. No details regarding Montague’s injury were disclosed. 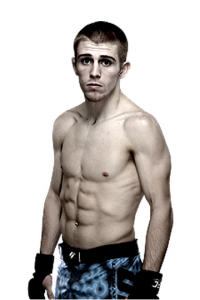 Scoggins (8-0) made his Octagon debut at UFC FN 33 in December and stopped Richie Vaculik in the opening round. Campuzano (13-5), meanwhile, is coming off a unanimous decision loss to Sergio Pettis at UFC 167 in November. The WEC vet had won five straight prior to the defeat. UFC 171 will be hosted by the American Airlines Arena in Dallas, Texas, and will feature Johny Hendricks versus Robbie Lawler for the vacant welterweight title.